Random Anny .Com: Want free food? Enter this contest! Want free food? Enter this contest! First - the mandatory disclaimer: The information and prize pack have been provided by General Mills through MyBlogSpark. It may not look like much but this thing is HUGE. I have a small kitchen table so I am saving it for the yard next summer. They were $8.99 each at Shoprite and over by the Marie Callendar stuff instead of other mexican food. I picked the enchiladas. The taste was really good but the look and texture was not enchilada-ey. The box says for best results to nuke it three minutes then bake. The box contains two serving sizes, which was perfect for us. 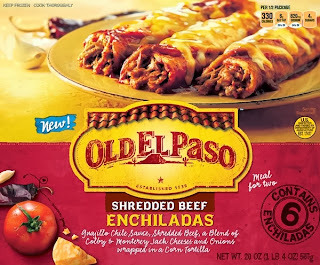 So if you want your very own prize pack with tray, free food coupon and $10 gift card leave a comment saying which of the four Old El Paso entrees you would try. Or if you've tried one leave a comment saying what you thought of it. Contest end November 7, 2013 at midnight EST. Come on down Wendy you won! Or ... well e-mail me your contact info so I can pass it on to the folks at My Blog Spark. 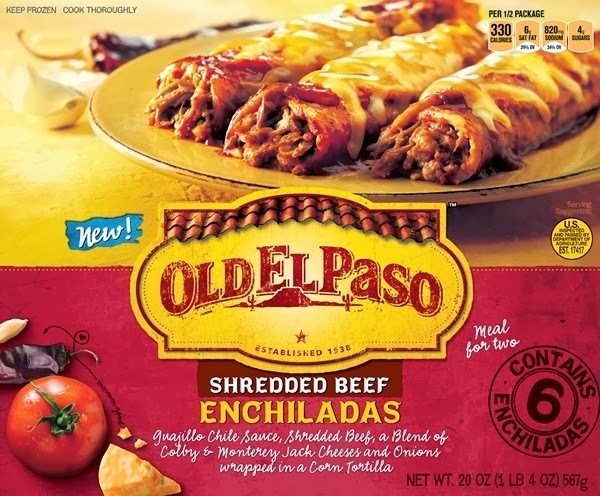 I have a soft spot for Enchiladas, so I'd try the beef enchiladas. If they weren't available at my store, I'd go for the chicken enchiladas. I would like to try the quesadillas. This is making me hungry. I don't think I have seen these in the store. I would like to try the quesadillas! I am most interested in trying the chicken quesadillas. I would love to try the Shredded Beef Burritos! I would love the chicken enchiladas. I think I'd try the quesadillas....my kids love them and we'd all enjoy ::!